We’d love your help. Let us know what’s wrong with this preview of Minimalist Living Guide for Frugal Living (Boxed Set) by Speedy Publishing. 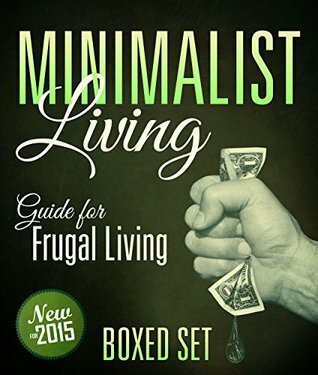 To ask other readers questions about Minimalist Living Guide for Frugal Living (Boxed Set), please sign up. I'd advise you to save your money, but as the book was free, I'll advise you to save your time instead. This is a collection of three ebooks by three different authors but somehow they all manage to talk about the exact same things. Minimalism as a lifestyle, how to declutter, going on from decluttering, and so on. They don't even have differing strategies on how to declutter, or how minimalism works as a lifestyle choice, it's the exact same things rehashed in each ebook. And it's all basic things that you can find all over the internet, there's nothing profound here. I guess if you're getting st This is a collection of three ebooks by three different authors but somehow they all manage to talk about the exact same things. Minimalism as a lifestyle, how to declutter, going on from decluttering, and so on. Was ok for.99, but all 3 said same thing.No new tips that would help..can get most Info for free online. This series was very informative and enjoyable !! I recommend it to anyone looking to live life a little less cluttered. Free Kindle ebook. Not much helpful info on frugal and minimalist living.